Williams, who has been playing tennis since she was 3 years old, said that one of her goals in her career has been to become more calm. Some people may have been turned off by her outspokenness early in her career, but an older Williams is a more Zen-like Williams. However, there was stress to conquer first. 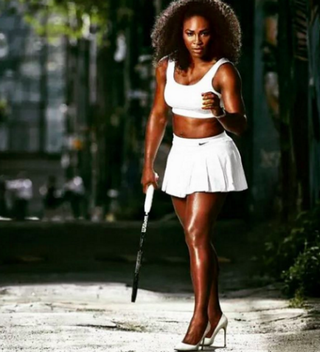 Williams said she knew it was time to be more relaxed on the court when her body and age told her so. So Williams has gone from being intense to calm, and she’s also willing to share the title of “daring.” When asked which women she thought were daring, she named her sister Venus as well as Ronda Rousey.